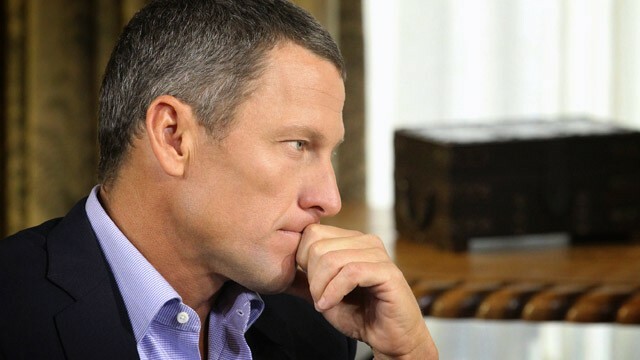 This is a conversation lesson plan for B1 upwards based around disgraced cyclist Lance Armstrong and the topic of cheating. Show slide 2, put the students in groups and have them tell Lance’s story, encourage them to use all the vocabulary on the screen. Show slide 3. This slide conatins a series of “what if” situations, have the students discuss them in groups saying what they would do. 1.You are playing football. It is the 90th minute of the match. Your team win a corner, the ball comes in, you try to head it but it hits your head and then your hand and flies into the goal. Nobody sees that it hit your hand, your teammates run over to congratulate you. 2.2 days before your final exam a classmate comes to you with a copy of the exam paper. He offers it to you for €50. He says that all of your other classmates have bought a copy except one. 3.You go to a charity event to raise money for food for hungry children in Africa. At the event they have a raffle. You bump into someone by accident and you both drop your tickets on the floor. The tickets are accidently swapped. You win a 5 star Caribbean holiday in the raffle but on your way to collect your prize you realise that it is not your ticket. 4.You are a professional cyclist. Last year you finished 10th in the tour de France, the year before 11th and the year before that 15th. A doctor comes to your gym one day saying that he has developed a new performance enhancing drug that cannot be detected by any type of doping test. He wants 50% of any future prize money you make in exchange for the drug. 5.You are a tennis player. 2 weeks before a big match at the US open you get a call from an umpire. He says that he is going to be the umpire for your match, he insinuates that if you pay him a bribe he will “help” you during the match. Feedback session with whole class based on their responses to the situations. Who was the most honest / dishonest in your group? Who was the biggest cheat?